America’s farmers provide us with an abundant food supply. But farmers are exposed to a unique, sometimes hazardous workplace. Agriculture continues to rank as one of the most dangerous occupations in North America and across the globe. National Farm Safety and Health Week is September 16-22, 2018. This year’s theme is “Cultivating the Seeds of Safety”. The National Education Center for Agricultural Safety (NECAS), UMASH, and the US Agricultural Centers funded by the National Institute for Occupational Safety and Health (NIOSH) are spotlighting agricultural health and safety with a variety of resources for farm workers, their families, and everyone involved in agriculture. 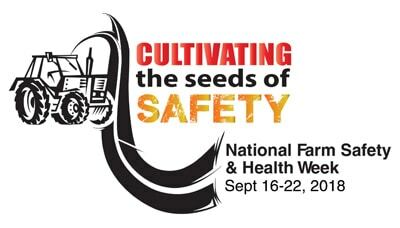 Do you have news to share regarding events during National Farm Safety and Health Week? Join the conversation on Twitter and Facebook. Be a Farm Safety Champion! How are you advocating for farm safety? Were you a Farm Safety Partner? UMASH is launching the 2018 Farm Safety Partner campaign to encourage agribusiness, industry, professional farm organizations and commodity groups, Extension offices, Ag Educators, FFA, 4H, community organizations, and others to share farm safety resources and promote safe work practices during September in support of National Farm Safety and Health Week (September 16-22, 2018). 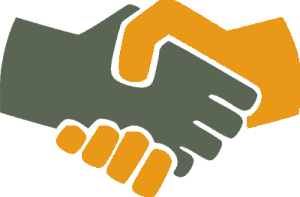 It’s easy to become a Farm Safety Partner! AgriSafe Network will be conducting daily webinars to inform professionals, as well as Agricultural producers on important agricultural occupational health and safety topics. The UMASH Farm Safety Check is a quick monthly review to identify and fix potential hazards before they cause harm to your family and employees – and your bottom line. Each month, Farm Safety Check will focus on a different topic, offering checklists and tips to help identify hazards, along with resources to remedy any problems. The UMASH Ag Health and Safety Spotlight features stories from farmers and farm families about their experiences with injury or illness on the farm as well as stories that highlight new resources and organizations that are working to improve agricultural safety and health. The Centers for Agricultural Disease and Injury Research, Education, and Prevention represent a major NIOSH effort to protect the health and safety of agricultural workers and their families. The Centers were established by cooperative agreement to conduct research, education, and prevention projects to address the nation’s pressing agricultural health and safety problems. Geographically, the Centers are distributed throughout the nation to be responsive to the agricultural health and safety issues unique to the different regions. The US Agricultural Centers funded by the National Institute for Occupational Safety and Health offer online safety videos through a special YouTube channel. These safety videos are designed for producers, Extension agents, first responders and farm families. The videos can be especially relevant during harvest season, as farmers are putting in long hours under the stress of weather delays and equipment breakdowns. The National Education Center for Agricultural Safety (NECAS) is dedicated to preventing illnesses, injuries, and deaths among farmers and ranchers, agricultural and horticultural workers, their families, and their employees. NECAS is a partnership with the National Safety Council and Northeast Iowa Community College (NICC) Peosta campus. A pre-plan map of farms to expedite response times in emergencies. A hazard analysis tool recommending abatement of common farm hazards. USDA-NIFA beginning farmer and rancher (BFRDP) clearinghouse, providing resources to help you get started farming, as well as tools to help more seasoned producers succeed. Resources and tools to help the Extension workforce increase local and national impact. The National Ag Safety Database (NASD) provides a national resources of agricultural safety and health resources contributed by safety professionals and organizations from across the nation.